We loved our first home. It was a three storey end-unit townhome, and we lived there for 12 years. We had three children in that home (not IN the home literally…. ), and one of my favourite places to be was the girls’ bedrooms. I had a blast decorating their rooms, and wanted to show you some pics of one of their finished spaces. 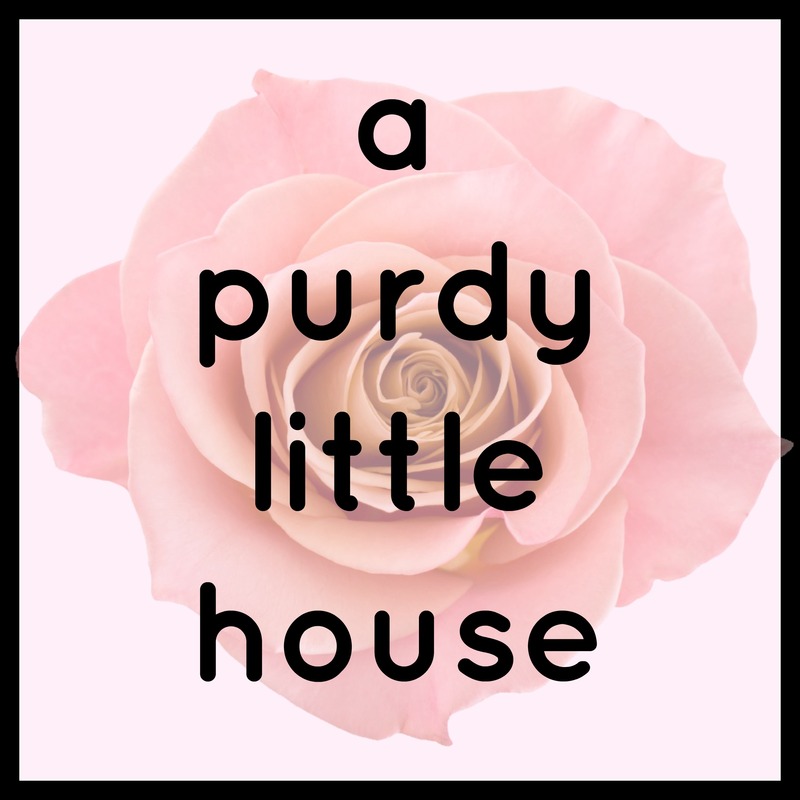 This post is all about how I made one of my girls’ rooms over using fabric as my inspiration for a truly shabby chic bedroom. This room was such a pleasure to decorate. I started with the fabric as the jumping off point. I went into the fabric store and searched for the prettiest fabric I could find. 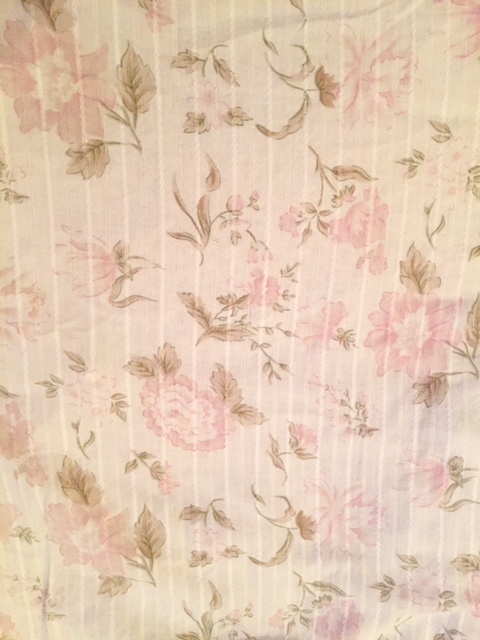 It was a light cotton with a slight stripe, and pretty pink flowers with taupe leaves. The lady at the fabric store nicely asked me what I was making with it, and when I told her a duvet cover, she scoffed, saying I’d be crazy not to line it with a heavier fabric. Well, Fabric Lady, I must say, you were wrong. My youngest daughter uses the duvet cover every night, and it has no rips or tears or popped seams anywhere. Just goes to show, there are no rules when it comes to fabric. This is the fabric I chose for the reverse side of the duvet cover, as well as the chair cover. It matches the taupe leaves perfectly. The paint colour is called Misty Rose by CIL, and the stripes on the bottom half of the wall under the double chair rail is a nod to the stripes in the duvet fabric. I also matched the taupe colour on the fabric for the horizontal stripe between the chair rails. This is the opposite side of the room, were I displayed some pretty and shabby frames. I just love the wire dress form. I purchased this off eBay years ago, and it’s still being used today. Here is a close up of the bedding. The corner of the room was decorated as a little reading corner, with a pink chandelier overhead. I found this adorable wicker chair at a thrift store, and gave it a new coat of spray paint in Rustoleum Ivory. Her little shelf was also adorned with cute little shabby chic items. This pig is carved of wood, and I found him at a thrift store for $3.00. I named him Kevin. Isn’t he the coolest?